１．Effects of the mycelial extract of cultured Cordyceps sinensis on in vivo hepatic energy metabolism and blood flow in dietary hypoferric anaemic mice. ２．Anti-fatigue property of Cordyceps guangdongensis and the underlying mechanisms. ３．Cordyceps sinensis promotes exercise endurance capacity of rats by activating skeletal muscle metabolic regulators. ４．Inhibitory effects of ethyl acetate extract of Cordyceps sinensis mycelium on various cancer cells in culture and B16 melanoma in C57BL/6 mice. ５．Pharmacological actions of Cordyceps, a prized folk medicine. ６．Secondary metabolites from Cordyceps species and their antitumor activity studies. ７．Effect of Cordyceps sinensis and taurine either alone or in combination on streptozotocin induced diabetes. ８．A fermentation product of Cordyceps sinensis increases whole-body insulin sensitivity in rats. ９．CordyMax Cs-4 improves glucose metabolism and increases insulin sensitivity in normal rats. １０．Lipid-lowering effect of cordycepin (3′-deoxyadenosine) from Cordyceps militaris on hyperlipidemic hamsters and rats. １１．[Effects of cordyceps sinensis on T lymphocyte subsets and hepatofibrosis in patients with chronic hepatitis B]. １２．[Intervening and therapeutic effect of cordyceps mycelia extract on liver cirrhosis induced by dimethylnitrosamine in rats]. １３．Anti-proliferative and pro-apoptotic effects of herbal medicine on hepatic stellate cell. １５．Cordyceps sinensis (a traditional Chinese medicine) for treating chronic kidney disease. １６．Effects of Bailing capsules for renal transplant recipients: a retrospective clinical study. １８．Quality control of Cordyceps sinensis, a valued traditional Chinese medicine. 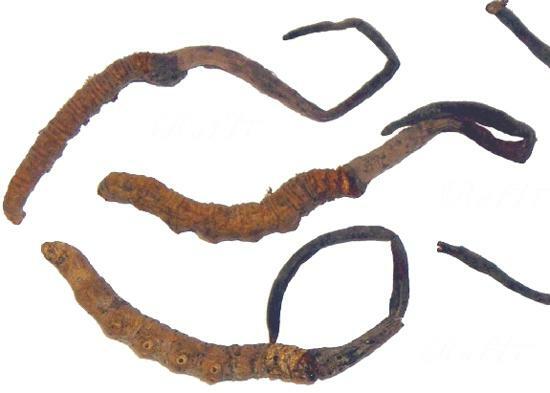 １９．The scientific rediscovery of an ancient Chinese herbal medicine: Cordyceps sinensis: part I.